Meet Jumpy Jack, a very nervous snail who's afraid of monsters, and Googily, who is a―well, who is a very good friend, indeed. Wherever they go, Googily kindly checks high and low just to make sure there are no scary monsters about. But as every child knows, monsters come in many shapes and sizes. Some are even blue with hairy eyebrows and pointy teeth. 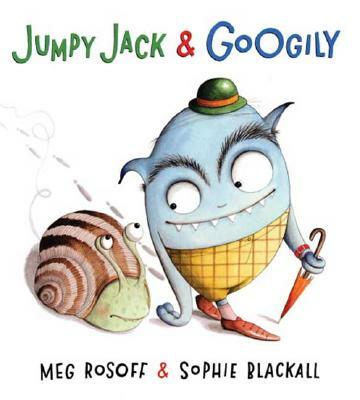 Jumpy Jack & Googily is a universal story of friendship and fear of the unknown told with wit and charm by the fantastic team who created the irresistible Meet Wild Boars.